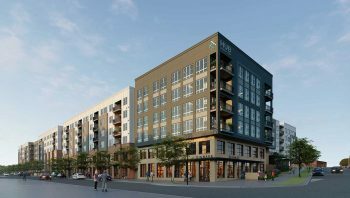 The Hub South End, a mixed use project at the corner of Hawkins and Dunavant Street, has recently broken ground in Charlotte’s South End neighborhood on a 4.4 acre site. The development will include 265 apartments and more than 20,000 square feet of commercial space. The site will also include 29 two story townhouse style units. The project is expected to be finished in the spring of 2020.